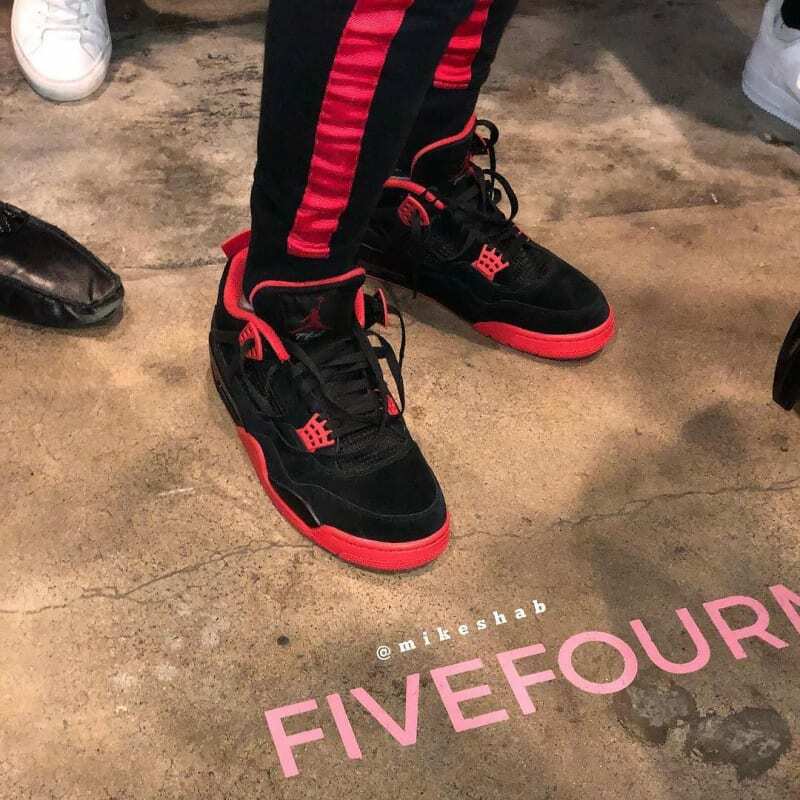 Chris Paul was at his Five Star pop-up event which took place at Alfred Coffee Melrose Place in Los Angeles. 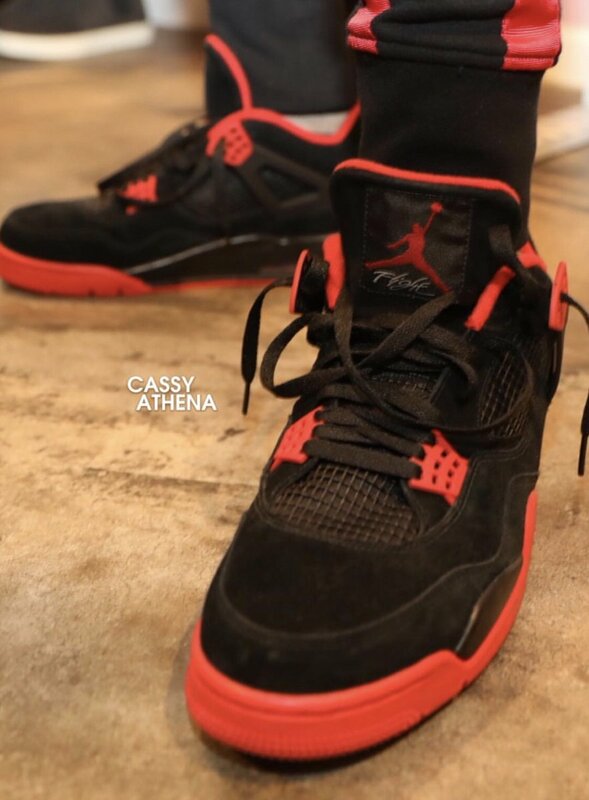 While we have seen Paul in many unreleased Air Jordans, this time we was spotted in the Air Jordan 4. 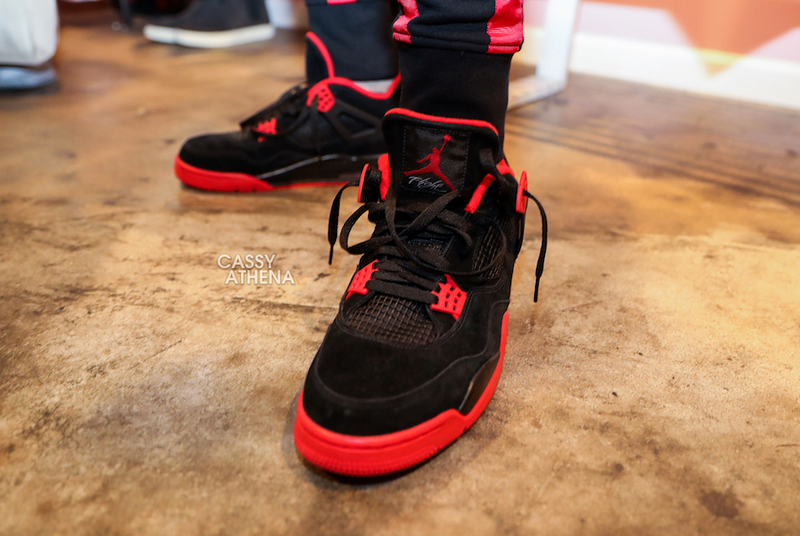 While not like the original Bred color theme, this Air Jordan 4 does feature a Black and Red theme. Featuring Black across the base, we have Red accents on the liner, eyelets, heel, part of the midsole and outsole. 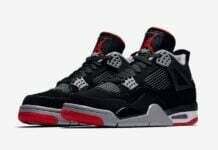 Don’t expect Chris Paul’s Air Jordan 4 Bred Unreleased PE to release however you can check out a few more images below. 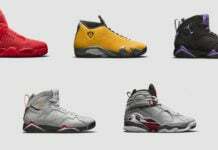 If Jordan Brand did decide to release them, would you pick them up? Visit the comments section and let us know your thoughts.